Chosen for use in all Sylvan Learning Centers. 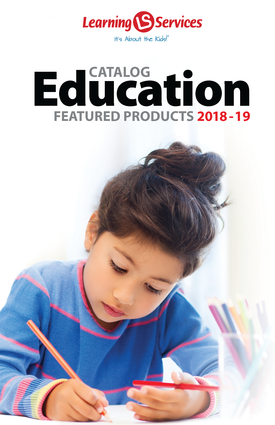 This award-winning, extremely effective, and highly motivating format gets students to do an incredible amount of math in a short period of time in very focused topics. The format is a 6-lane straightaway race. Students accelerate their dragster or riderless horse by entering correct answers. The other 5 lanes contain their 5 previous best races -- students compete against themselves. The Quarter Mile Math is able to detect the smallest improvements and give positive reinforcement. Non-intimidating, non-age-specific, and appropriate for both genders. As effective for students with special needs as it is for accelerated students. As perfect for kindergartners as it is for adults. Contains all 326 topics from the Grades K-3, Grades 4-6, and Grades 6-9 with Pre-Algebra programs. Over 70,000 problems! 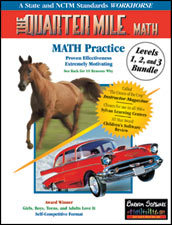 With Wild (Riderless), Horses Too!Award-winner and best seller.The Quarter Mile programs are extremely effective because they motivate students to do an incredible amount of math. This is a single program that contains all topics and problems from Level 1, Level 2, and Level 3 programs. Click on the links below to see the topic lists.